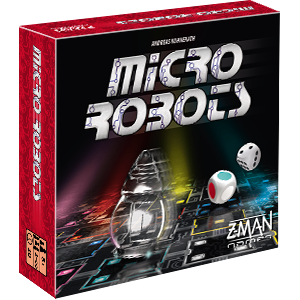 Think quickly and guide the most robots to victory in this fast, fun game of racing robots. The central computer has failed and the robots can't reach their destination on their own! 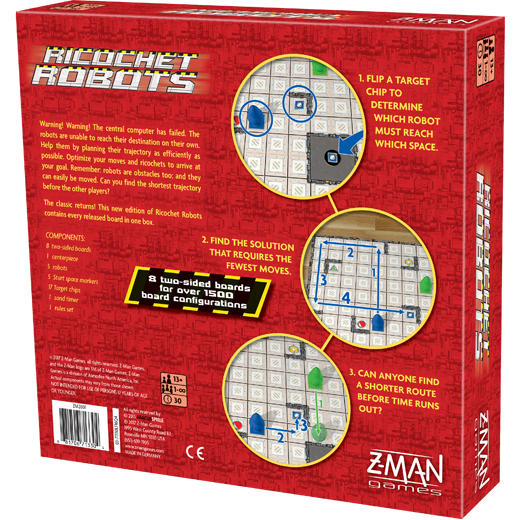 In Ricochet Robots, players race to find a suitable route for a robot to take across the board toward a target chip. Whoever can guide the robot in the fewest number of moves claims the chip. But getting a robot to its destination isn’t so simple. Robots don’t have brakes, so once they’re put into motion, they move straight and cannot stop or change direction until they hit an obstacle. Optimize your moves as you send robots careening off walls, the edges of the board and even each other as you look for a solution. Whoever can claim the most target chips wins the game! 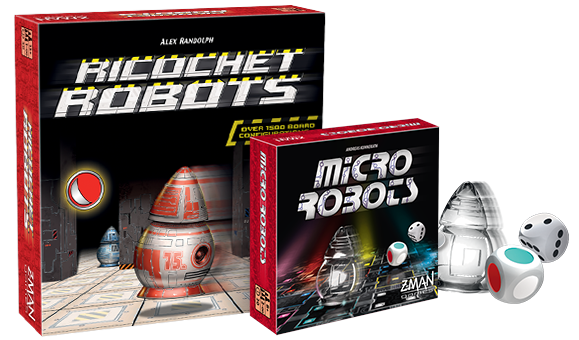 A modern classic, Ricochet Robots presents a unique puzzle every game. 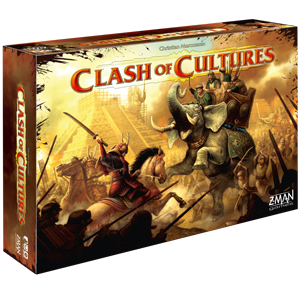 Create a new play surface each time you play by combining four separate board sections, each with its own challenges and obstacles. Begin by working your robots around regular obstacles until you’re ready to deal with colored barriers. Robots of the same color fly right through these obstacles, but other robots go bouncing in another direction. 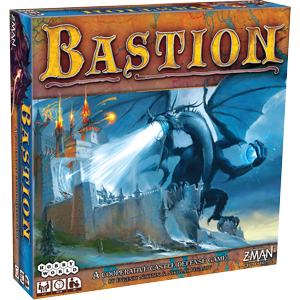 Make full use of each board's layout as you plot your routes and outthink your opponents. 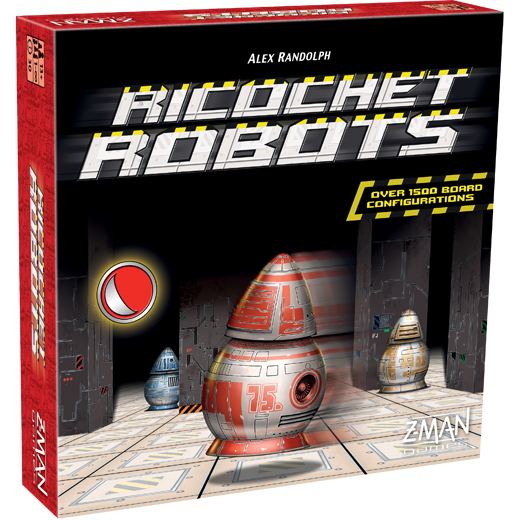 This edition of Ricochet Robots contains every board released previously, for a total of over 1,500 board configurations. Plan your routes and see how far you can send your robots! Send robots careening off the walls - and each other - as you slide them to their destination.